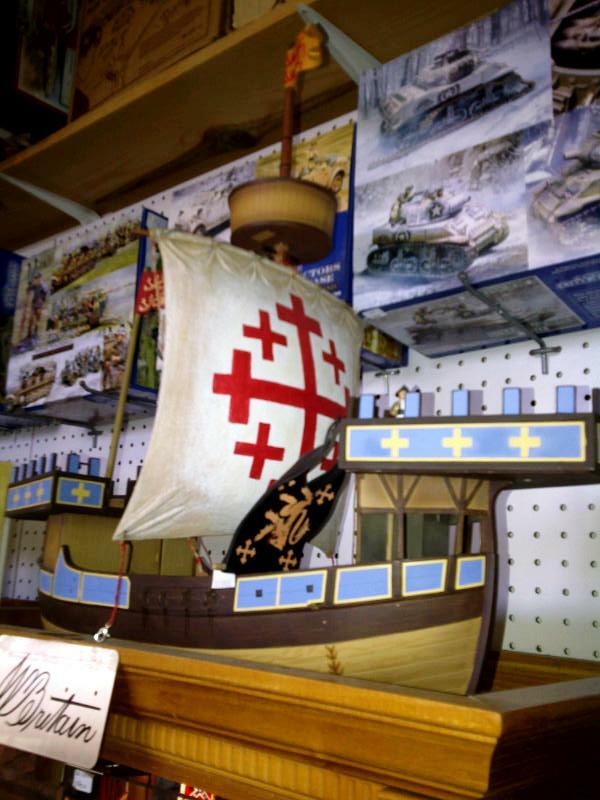 Playsets are among the specialties of Gettysburg Miniature Soldiers, both vintage 1960s Marx sets and newer more modern playsets. 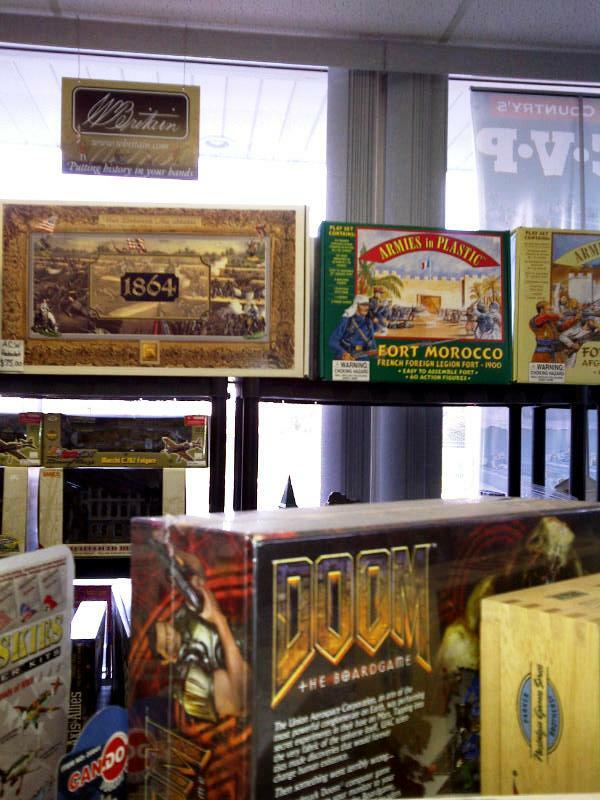 John also carries used gaming accessories and figures, as well as new issues. 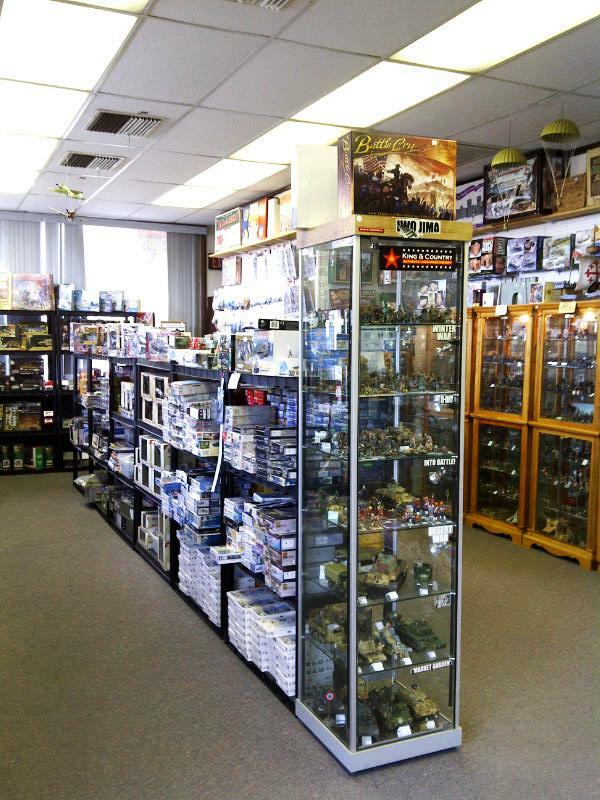 He has several lines of 15mm ACW wargaming figures and accessories, including the new Blue Moon figures. 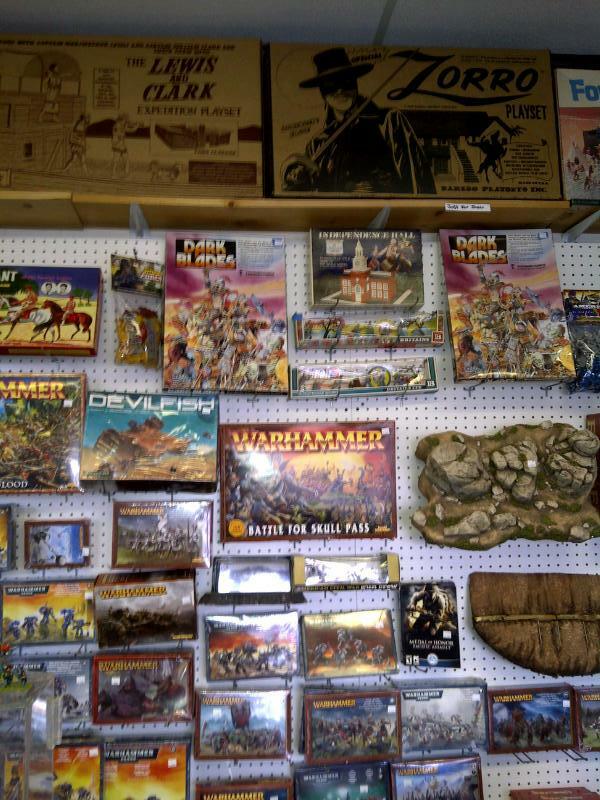 Perhaps the best part of John’s store is the toy soldier wall — so much eye candy to look at!!!! 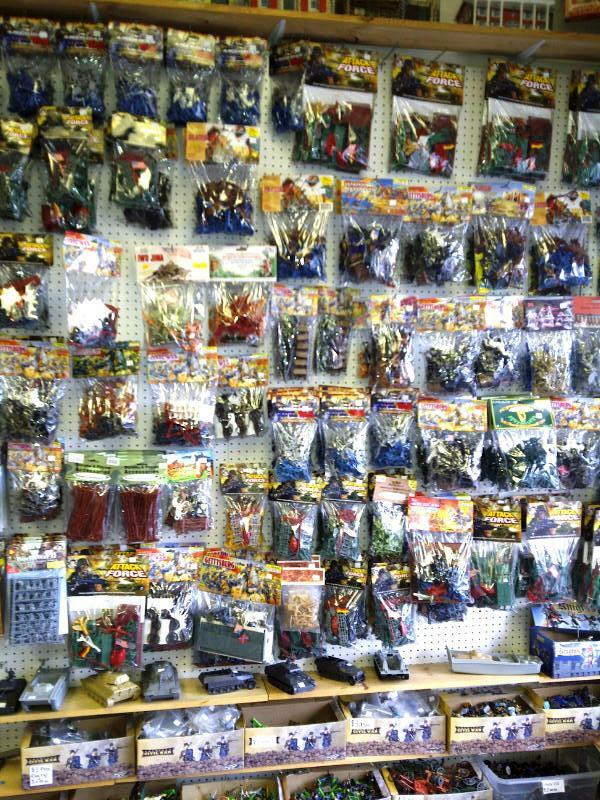 So many memories of old plastic figures I had as a kid 9and still have!). 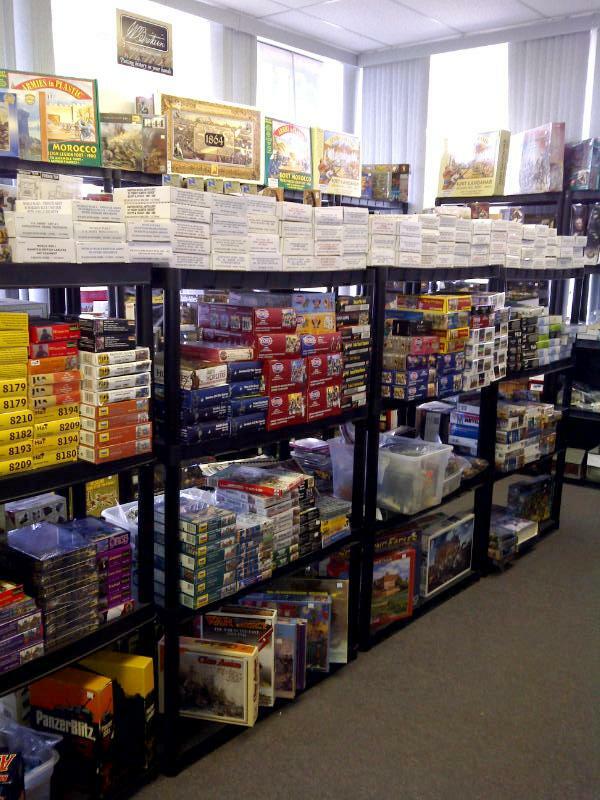 John also sells Warhammer and other fantasy gaming sets, as well as various rules, supplements, etc. Check out the sailing ship! That would be a cool toy for my grandsons! 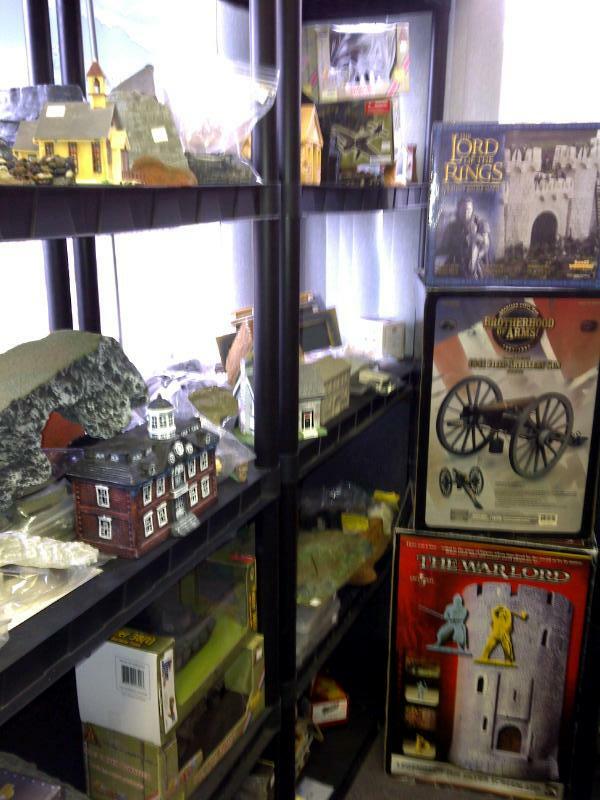 Here is a link to John’s website for Gettysburg Miniature Soldiers. Been to the store last five years while on vacation or fall break with grandkids.